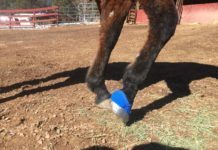 I had the privilege of joining the EasyCare team just this past August and with everything I was learning I decided it was time to pull my horse’s iron shoes. I didn’t think that I was having problems with the shoes, but little did I know the changes that I would see once my horse had a natural barefoot trim. I have a 7 year old Arabian gelding that I use for endurance. He’s a big goofball and had a tendency to trip a lot. I always contributed it to the fact that he didn’t pay attention to the trail, but everything turned serious when Abe took a tumble on one of our training rides. Abe fell so hard that he ripped one of his knees open to the point where I could see his bone. The joint became infected and I was told I would lose him if I didn’t act fast. Abe had to have 4 surgical procedures where they flushed out his knee with antibiotics. 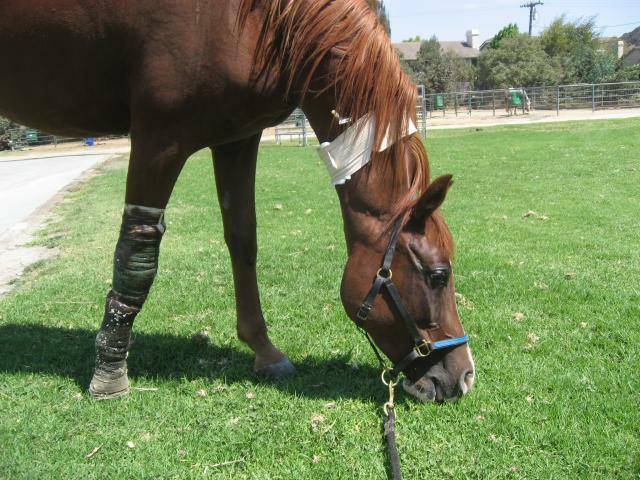 He spent two weeks in the horsey hospital and luckily made a full recovery. However, once back on the trail, I was very intimidated by all the tripping especially down hills. I never gave any thought that it could possibly be my horse’s shoes or that just a simple barefoot transition could change the way he moved. I had heard and seen people use protective horse boots such as Easyboot horse boots but had never really thought about using them on my own horse. Once I got hired by EasyCare I decided to give it a try. Six months later, I am so impressed with the changes in my horse’s hooves! They have gotten wider and so much harder. Easy boots for horses have actually changed the way my horse moves! He doesn’t trip nearly as much as he used to and he moves around sure footed and confident like a horse is supposed to. 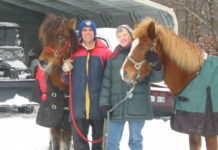 The more I am learning about horse hoof trimming and other natural horse products, the more I am convinced that this is the way to go. 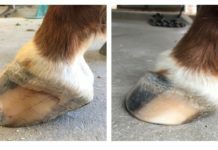 It’s incredible the horse hoof problems they can have without us even knowing, and the positive changes that natural hoof care can have on our horses. Abe loves his Gloves and is now an official Easy Boot horse! 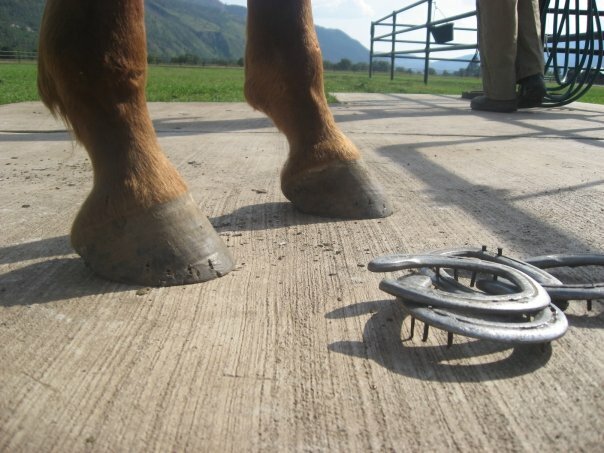 Previous articleYou will have better Natural Hoof Care success after purchasing a rasp!